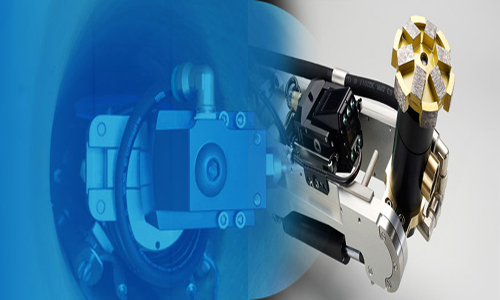 After the images shot, the unwanted objects and materials in the pipeline that may cause malfunction of the sewer pipelines are need to be milled by special robots. All kind of barriers of the flow in the pipelines such as wrong connections, obstacle parts, concretions, pipe breaks, gaskets, tree and plant roots entering from the pipeline joints etc. constitutes negative obstacles in the pipe diameter. These negative obstacles must be milled by the milling robots to provide efficient flow of the waste again.